Humans over the millennia have had restless feet, natural explorers thirsting for new lands. Even though most of the world is now mapped, the spirit of personal exploration is at its peak. Trekking in South India and hiking around beautiful hills is a great way to disconnect from the stress of city life and an amazing way to stay fit.. They call it the Scotland of India, some the Scotch-land for others it’s a perennial treasure trove of wonderful experiences and treks. 1. Tadiandamol Trek - Highest peak in Coorg at a height of 5735 feet situated in the midst of Shola Forest. Whole trekking trail gives you an awesome experience starting from our very own Campground The Kakkabe River Camp , passing through amazing water streams, entering into the wide forests of the Shola Range. You can recognize the midpoint of the trek with a big rock along the path . Do not forget to climb this Big rock and feel the fresh air. Tadiandamol is known for its amazing beauty , view and the mist as you reach the summit. Finish the trek and come back to the Basecamp to experience camping with campfire, music, barbeque and stars. 2. Kopatty Coorg Trek – Kopatty trek is one of the very few unexplored trails in Coorg. A moderate 3 hour trek to 4300 feet passing through coffee plantations, deep forests and a grassy view all throughout the trek. On a beautiful morning, this is the best trek to complete in Coorg and head back with amazing memories. 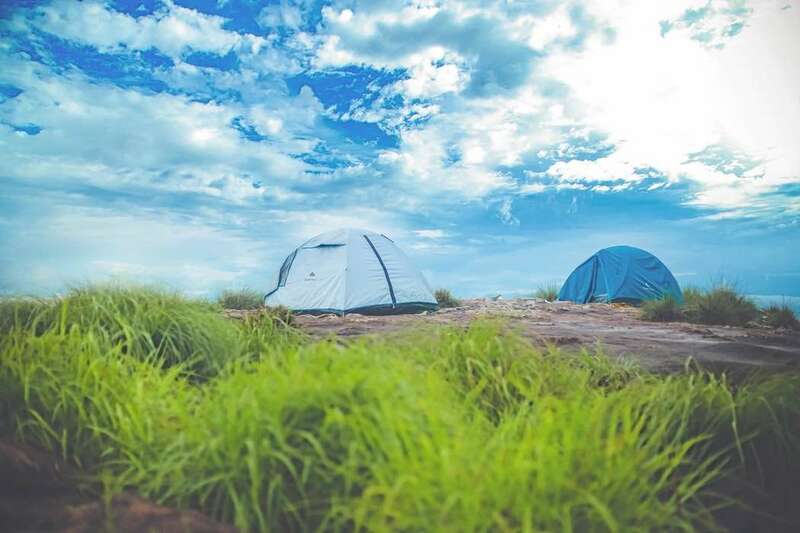 The Kakkabe River Camp is Camp Monk's very own Campground in Coorg situated right before the Tadiandamol trekking trail. 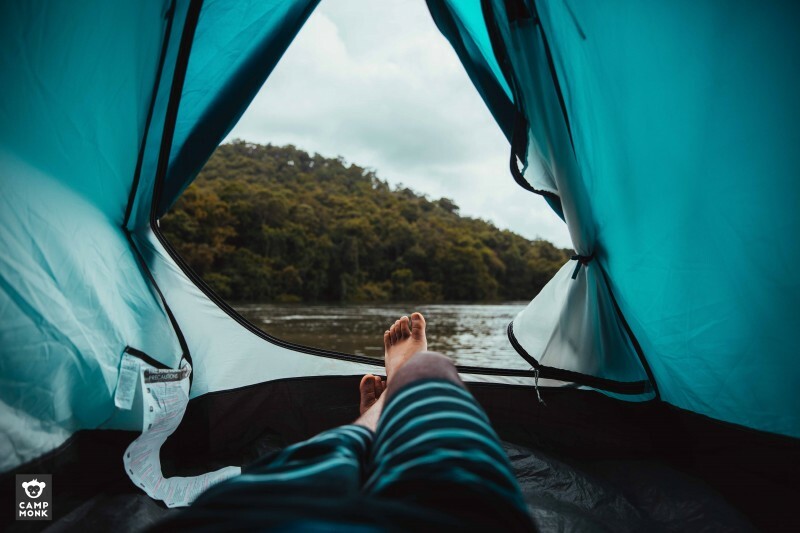 It is an amazing campsite right next to a river and offers you amazing place to camp offering various activities like still water kayaking, a gorgeous waterfall, wildlife watching, barbeque and stargazing. When you add rains to an already green place you get a smorgasbord of beautiful sceneries. Wayanad, especially the Shola Forest area is a maddeningly green and beautiful place. 1. Chembra Peak Trek - Highest Peak of Wayanad situated at 6,890 ft above sea level. Chembra peak adjoins Nilgiri hills in Tamil Nadu and Vallarimala in Kozhikode. From the town of Meppadi you can reach the peak through walking. Avoid Chembra during rainy seasons as the rocks get slippery . To do this trek, you have to take permission from the Forest Department in Meppadi. 2. Banasura Hill Trek - Second highest peak of Wayanad situated at 6801 ft above sea level. A difficult trek only recommended for experienced trekkers. This trek challenges you with high winds hitting your knees; steep slopes and rocks which need some expertise to navigate. When you’re at the summit, you cam see a full view of Banasura Dam and the misty mountains surrounding you. We have three gorgeous camping options for you. 1. 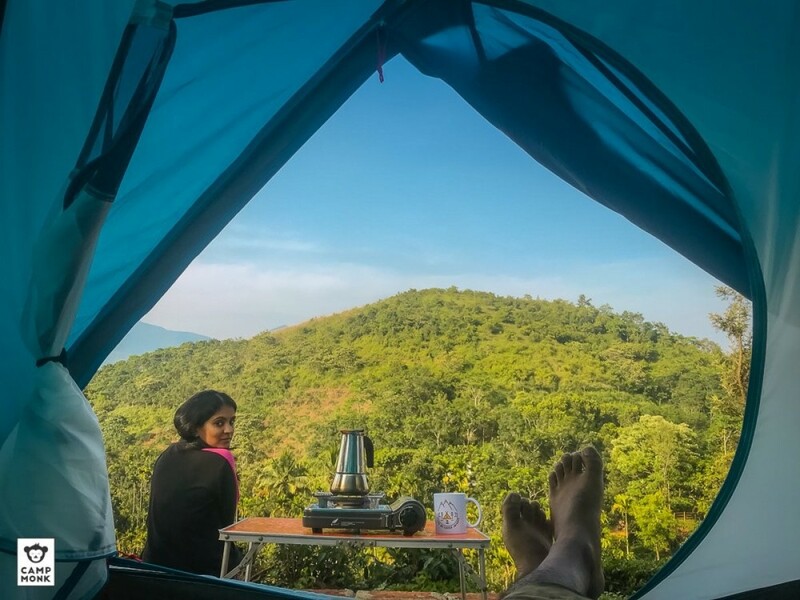 Jungle Edge Campground - Situated atop a hill in the beautiful, rustic and serene village of Valad, Wayanad the gives you a breathtaking view of the Wayanad forest and hills. 2. The Shola Shack : Set on the base on a few acres of grassland on rolling hills of the Western Ghats in Wayanad. Beyond the horizon the vista opens to fold upon fold of shola and grassland habitat, disappearing into the mists of the Brahmagiri range that stretches across the border to Iruppu in Karnataka. Immerse yourself or as they do in Japan bathe in the forest (Shinrin Yoku), we promise you will find a connection to nature. 3. Camp Banasura - Situated on the base of Banasura Trek . Find yourself surrounded by a vast expanse of fresh crystal clear water, landscaped islands and magnificent hills. 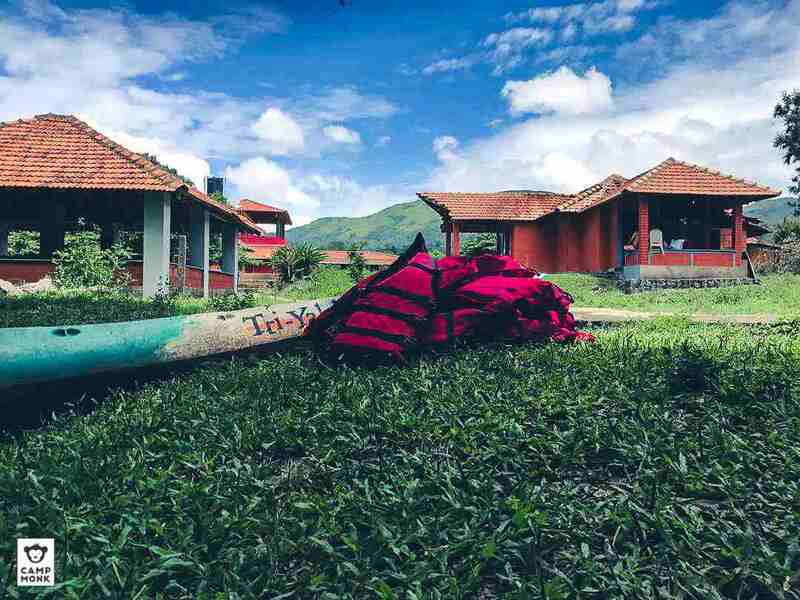 This isolated location in a 50 acre patch of land amidst the Banasura Dam is the perfect site for both adventure activities and camping. 1. Kavala Caves Trek - Organized by the Forest Department at 6 am every day, it is a very easy trek of 4 km downhill entering into some deep caves, an adrenaline fix for sure! Ensure you carry a torchlight for safety purposes. 2. Kulgi-Nagazari Valley Deep Jungle Trek - 16 km moderate trek which is located around 7 km from Kulgi Town is a tour of the deep jungles that make up Dandeli . The whole trek is a complete adventure of flora and fauna. 1. Camp Exalt - Dip your feet in the river while enjoying the beautiful sunsets of the Western Ghats. Our property is an ideal campground for nature lovers, bird/wildlife enthusiasts and adventure junkies. is a place for the adventure camper and the creature comfort traveler too. 3. 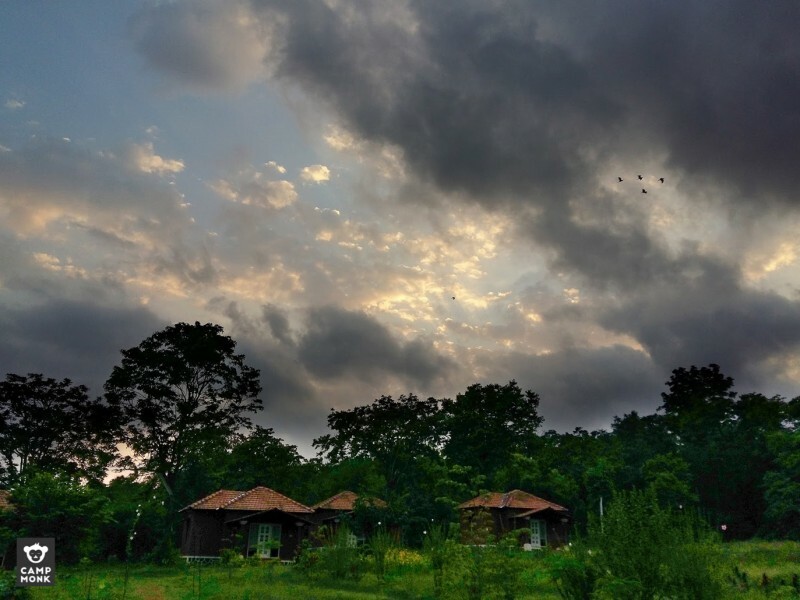 Kali River Campground - Located amidst the serene Dandeli forest, it offers you a great opportunity to experience nature at its closest. Homely vegetarian food made from organic farm produce is the best you can do for your taste buds. We promise to make your stay a memorable one! 1. Bisle Ghat Trekking Trail - The trails lead to the famous Bisle Reserve Forest that is rife with biodiversity and shelters a variety of birds, deer, and snakes. 2. Ombattu Gudda Trekking Trail - This is the famous Ombattu Gudda Trail along the borderline of Chikmagalur and Hassan. It's a difficult 6-7 hour trek passing through river streams and wild forests. The forest is extremely huge with bamboos and dense forest playing host to a range of wildlife from the tiger, leopard, jungle cat, barking deer to gaur, sloth bear and, of course, the wild elephant. This is termed as one of the most mysterious routes in Southern India. 2. Riverside Campout - A fertile land with vivid geography and amazing bird life. the campsite provides perfect experience of the rural culture and tradition of Karnataka and its pristine natural beauty. 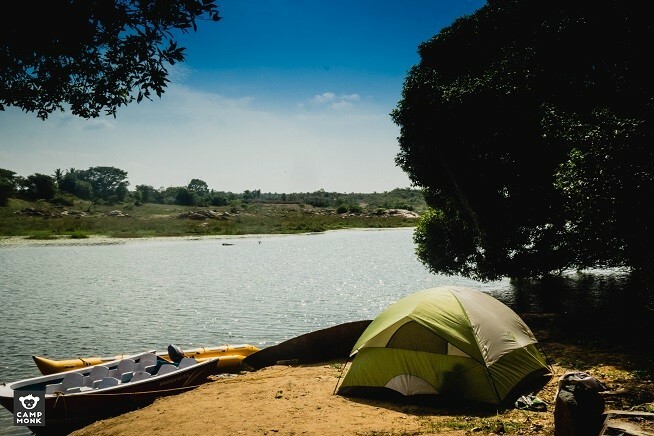 The river Hemavathi flows gracefully all along the western flank of our campsite giving our guests a unique opportunity to fill their senses with its majestic presence and beauty and also watch a beautiful sunset and enjoy your weekend getaway. A hill town with lakes, forested valleys, waterfalls and grassy hills – Kodaikanal has something to offer for everyone. We love the serenity and to die for views all around. At 2000+ metres above sea-level, off-the-grid and accessible only by foot, #TheMistyMountainHop is shrouded in clouds for most of the year. However, the warmer months allow for a crisp view of a very large valley. The Hop is cut into steps on a hill, that is accessible only by foot through a forest. 1. Dolphin’s Nose Trek - This 8km moderate trek is the most beautiful trek in Kodaikanal . It is at a height of 6600 ft from the sea level. It stands tall on a mountain in shape of a Dolphin nose. 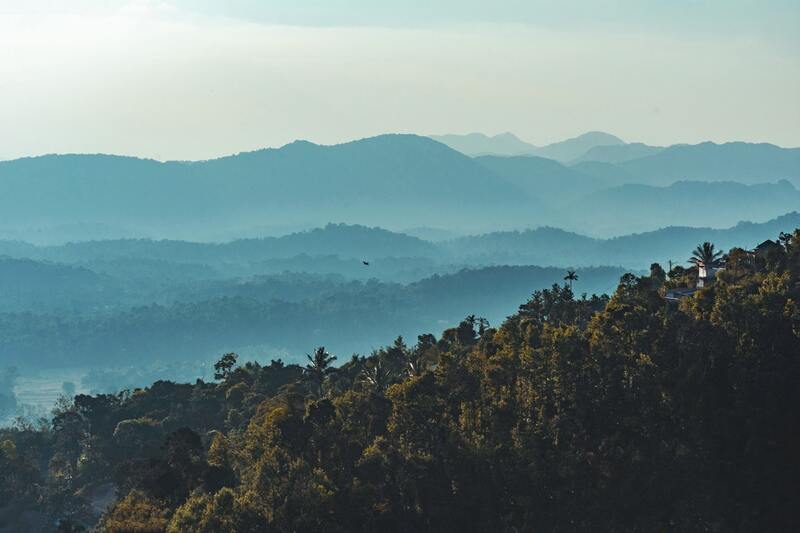 View from the top is mesmerizing as it covers the whole landscape of Kodai hills. 2. Misty Mountain Trek - This short 4km trek is our very own campground Misty Mountain hop.The Hop is cut into steps on a hill, that is accessible only by foot, near a forest. The land is surrounded by forest on two sides, the neighbour's farm on the third side, and the valley in the fourth. There is a steady flow of water and there is an Indian-style toilet attached to a small house. The house and the toilet are more than 40 years old. While it is clean, it is in true village style. 3. Pillar Rocks Trek - Located in the midst of the valley stands three big rocks called as “Devil’s kitchen” as it is known to be dangerous for anyone to sit on top of it.This awesome attraction is 400 ft high and a short 3km trek. During the whole trek you shall see fogs and mist covering up entire area making it spectacular. 1. Spice Valley Campground - Spread across 200 acres, with a river and a private waterfall, Spice Valley is 20 kms from Kodaikanal. This is a fruit orchard growing Organic avocado, orange, coffee, pepper and passion fruit, with multiple campsites. Set Up camp in a 360 degree panoramic valley view, away from civilization and beside the wildlife sanctuary. 2. 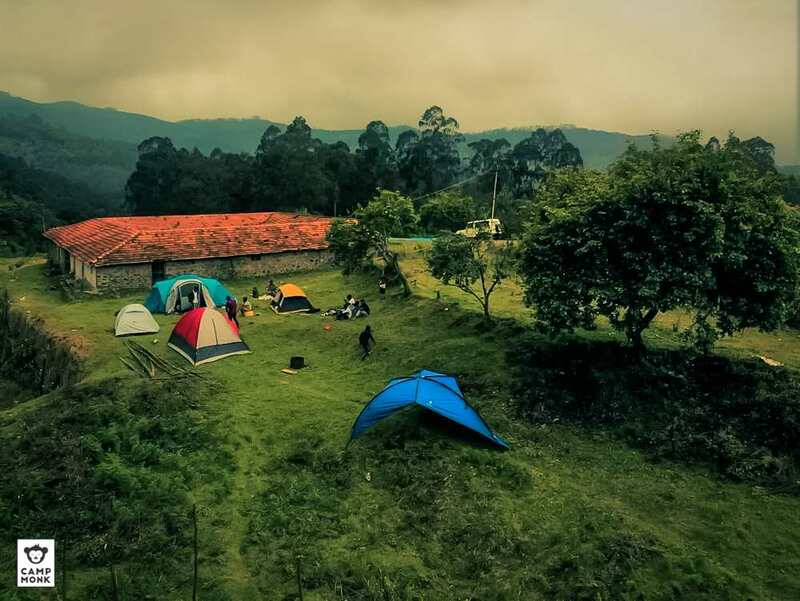 Campers Valley Kodaikanal - This campground set in 40 acres of private land in a lush green valley and accessed only by 4x4 off-road jeep or by a 20 minutes trek. It is a perfect getaway destination for all adventurers, it's remote and share a boundary with the wildlife sanctuary. If you love wildlife and the forest, this is the place for you. Follow eco-friendly farming practices and if you're keen we can show you around the farm as well.We have wide variety of adventure activities like archery, cycling and small games. For the really adrenaline junkies there is a 4x4 off-road jeep safari that will keep you on the edge. Munnar is a town and hill station located in the Idukki district of the southwestern Indian state of Kerala. Munnar is situated at around 5,200 ft above sea level in the Western Ghats mountain range. Munnar is also called the "Kashmir of South India". 1. Top Station Trek - At a altitude of 8000 ft, Kurangani Hills near the famous Kolukkumalai Hills gives the perfect trek in Munnar.Trek Starts from Kurangani Village to Top Station , a mere 3 hours steep climb. On top, you will get an amazing view of Munnar town and vast ranges of Kerala. 1. 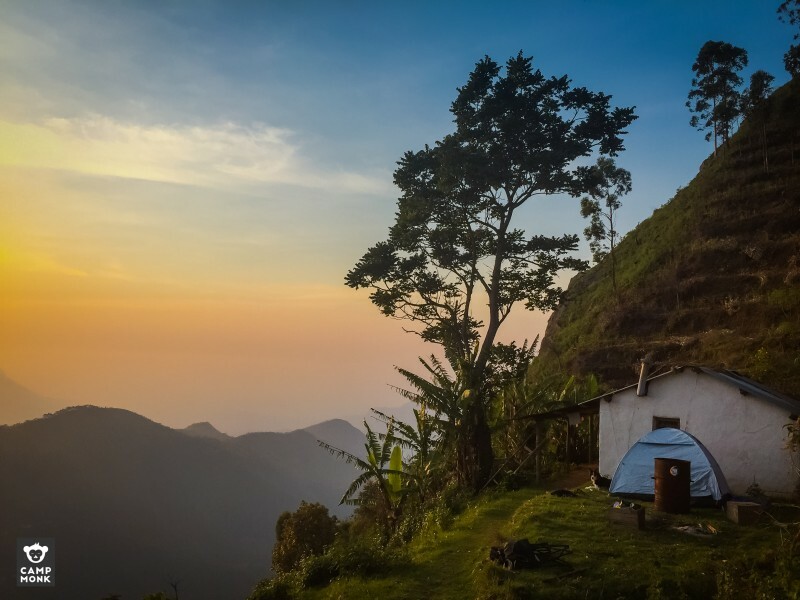 Camp on the Clouds - Some people say that we have the best view in Munnar, and we don't disagree! Our campsite in Idukki provides sweeping views of the valley and Anayirangal dam. On some morning the mist settles in the valley giving you a feeling like you're camped in heaven overlooking the clouds. If you're here for a weekend getaway and relax then this is a serene place for you to get lost, if you're in the mood for adventure we can hook you up with Jeep Safaris or treks to Meesapulimala. 2. Camp in Nature's Preserve - The most ideal way to describe Terramantra would be to call it a "library of nature". A nature preserve located at the Idyllic Vagamon hills on the Western Ghats of Kerala. This property is the fruit of our conservation effort spanning nearly three decades. 3. Sunrise Mountain Campground - Our campground is nestled in the Sholas, away from the hustle and bustle of city life. A perfect getaway for you to camp beneath the stars and soak in the warmth of a campfire. If you're one who's into sunsets, we've got a majestic view awaiting you. Watch the sunrise over the mountains as it explodes into an array of hues over the cloud.